You can personalise this cushion cover with a surname up to 12 characters in length and then a date below up to 20 characters in length. The words 'MR And MRS' are fixed. All personalisation will appear in UPPERCASE. 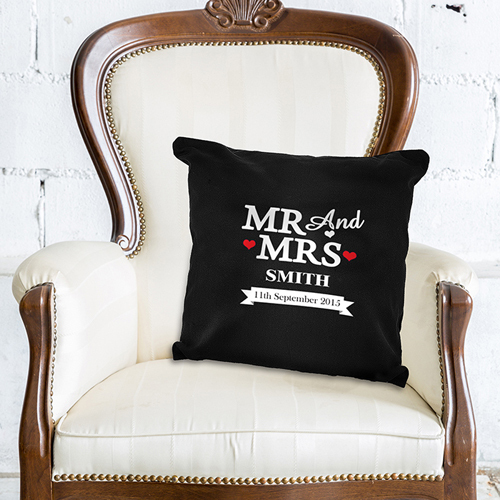 Personalise this cushion cover with a surname up to 12 characters in length and then a date below up to 20 characters in length. The words 'MR And MRS' are fixed. All personalisation will appear in UPPERCASE.